Somers Cove Light was constructed in 1867 as a cottage screwpile lighthouse with a sixth order Fresnel lens. The cost of the construction was approximately $10,000. The lighthouse marked the entrance to Little Annemessex River at Crisfield, Maryland. 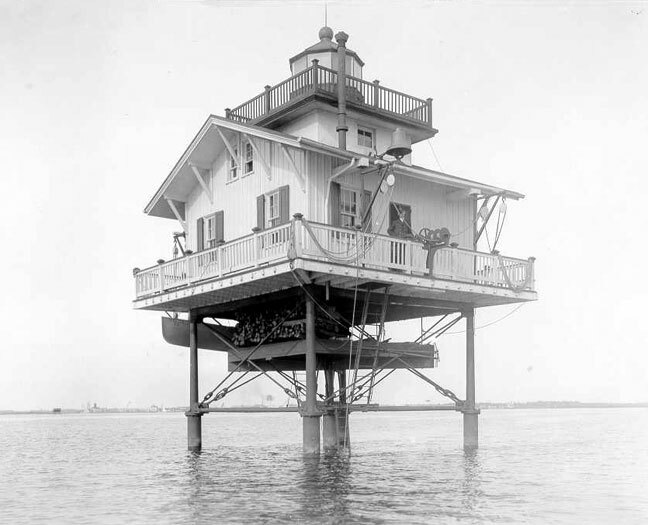 The lighthouse was dismantled in 1932. Some of the original framework still remains and passenger ferries to Tangier Island from Crisfield pass the site. Local watermen refer to the remains as “skeleton light”.